Electronic invoice processing isn’t new territory for the in-house management, purchasing and logistics department (EB SZ-G.E.L.) of the City of Salzgitter. The Lower Saxon town has used integrated facility management by Axians Infoma since 2012, starting with response management and introducing other modules like contract management, notification management, energy management and maintenance management over time. Salzgitter also used an invoice workflow to control construction costs – part of the former document management system by Axians Infoma – in the first year. Project managers in the EB SZ-G.E.L. saw integrating the invoice workflow into Infoma newsystem financial accounting – in use in Salzgitter since 2005 – as the perfect opportunity to provide a better overview of all invoices in process without connecting another interface, while also being able to monitor budgets. The first identified application was energy management, where the solution can be used to identify potential energy savings and derive measures in response. In the local government sector, which has to deal with a wide variety of different buildings and types of use, transparency is extremely important. Only a good basis of information, made up of updated and transparent data, can give project managers a comprehensive overview of the complex technical interactions at play, and facilitate an objective analysis. The solution interacts with the invoice workflow to complete all the steps of the invoice approval process automatically and provide further efficiency. From scanning to booking invoices, it provides optimal support for the entire process chain. Our energy management has been fully integrated since mid-2018 into the municipal entity facility management, purchasing and logistics. This means the users go directly to the energy management module from the invoice workflow, enter consumption data there and then continue the workflow for the incoming energy invoices. reports Brunhilde Frye-Grunwald, until October 2018 Head of Commercial Services at EB SZ-G.E.L., and now working for the Stiftung Braunschweigischer Kulturbesitz. In the process we use now, the integrated invoice workflow makes it possible to access the energy management page during processing, enter the consumptions and costs there, and then continue the creditor workflow and make the invoice payable. “The key advantage of this process is that we don’t have any duplicate capturing or additional separations of functions. There is no need for transportation from A to B, and we can immediately access the data electronically if we need to do research. This saves a lot of time and work” also says successor Stefanie Kuberek with satisfaction. Another key point which was key for the decision to introduce the electronic invoice was the option of creating an order and tying funds to the construction project. Construction measures can be linked to accounts and cost centers from financial accounting in the action management module so that certain data can be taken from the integration of the invoice workflow without requiring any expertise in accounting. This allows access to data from the order for invoice processing. Currently, the in-house operation has also gone live with project cost controlling as part of action management, making it easy to map even large-scale construction projects, including a where-used list. Intensive preparations have helped to ensure project managers and the total of 45 users from commercial, rental and technical facility management see the project positively. A concept developed alongside all areas and the internal IT department establishes the procedure and responsibilities in detail. “Multiple departments are involved in energy management, after all – technical facility management on the construction side, and consumption is recorded by rental management. Who is responsible for what needs to be clear from the start” says the commercial manager of the in-house operation. There were also some specific requirements for Axians Infoma, such as booking input tax for individual properties, only some of which are subject to input tax deduction. It has recently become possible to process these directly as part of the capturing procedure. In addition, an expanded workflow for processing construction invoices was tested. Until date invoices were reviewed on paper before they are scanned and processed in the invoice workflow. If there were changes, these have been corrected manually on the paper invoice and then scanned. Stefanie Kuberek’s goal is “to scan the invoices when they are received and then make any corrections on the PDF document and upload these to the process.” The start for future process optimizations was at the beginning of 2019. But these aren’t the only goals in Salzgitter. Currently, the focus is on eInvoices and on completing the described digital process. Since conceptual preparations have already been completed by the IT department, the division only needs to focus on developing a concrete strategy for implementation for the future. eAward processes will be integrated into the action catalog. In contrast, plans to use the availability planning module from the Axians Infoma municipal departments solution are still at an early stage. Stefanie Kuberek believes the mobile data capturing offered here, especially, will create more efficiency and convenience in everyday work. This is also why the mobile maintenance and review (MMR) application is going to be introduced. The app handles tasks related to operator responsibilities for equipment. Controlling and maintenance tasks in buildings, for example for fire protection doors, fire extinguishers, etc. can be defined immediately on site using the mobile device and documented immediately after completion. Capturing of initial property data and task definitions are already in progress. 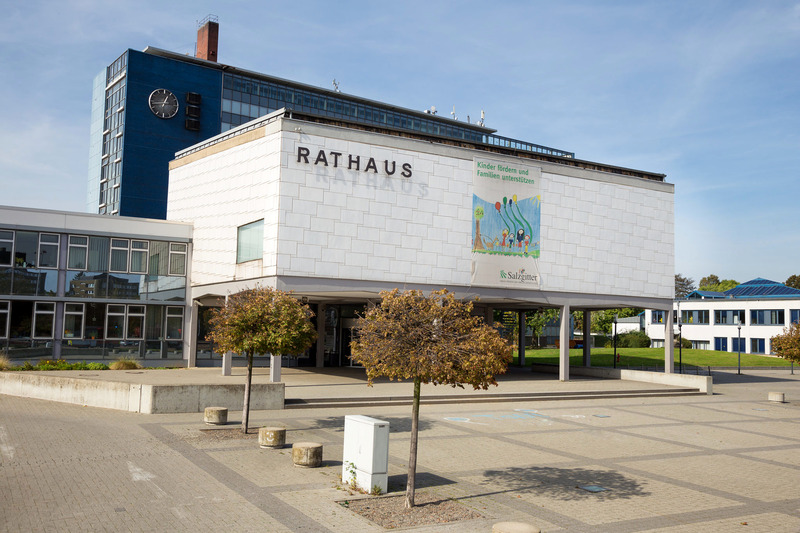 With these plans, the in-house operation is well on its way to consistent digitization of administrative processes in the city of Salzgitter. The integrated invoice workflow makes it possible to obtain a better overview of all invoices in process and monitor budgets at the same time without connecting to an interface. 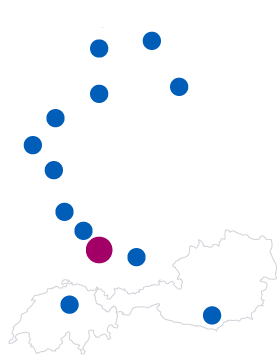 The city of Salzgitter started using facility management for construction cost controlling in invoice workflows in 2012. After integrating the invoice workflow into the Infoma newsystem financial accounting, it quickly became clear that the entire process chain from scanning to booking invoices should be completed automatically. It was first used in energy management, which has been fully integrated since mid 2018.